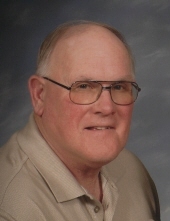 Michael Raske, age 67 of Radcliffe, IA, passed away on Wednesday, March 27, 2019 at Israel Family Hospice House in Ames. Michael “Rascal” Raske was born on July 2, 1951 in Eldora to Leo & Barbara (Mallo) Raske. He graduated from Radcliffe High School with the class of 1970. Michael later continued on to receive his degree in agronomy at DMACC in 1994. Michael spent many years as a farmer, eventually beginning a partnership at Innovative Crop Solutions in 2007. He enjoyed fishing trips in Canada, camping and the mountains. His unwavering love for the Cyclones and brief stints as a “backup singer” for the Beach Boys will never be forgotten. Michael was also a member of Kiwanis, RIC and Our Saviors Lutheran Church. Michael is survived by his wife Jean Raske of Radcliffe; the mother of his children, Catherine Guthrie-Scanes, Urbandale, IA; children; Andrea Pellegrino of Johnston, RI, Nathan (Ashley) Raske of Des Moines, IA, Laura Raske of Madison, WI, Beth (Brian) Pailes of Tampa, FL and step-children Cathy (Eddie) Doughty, Stanhope, IA, Craig (Shelli) Groves, Lakeview, IA; 11 grandchildren, Emmanuel, O’Darian, Odyn, Kristin, Josh, Zack, Abbey, Mason, Carter and Kiera and 8 great-grandchildren; his mother, Barbara Raske of Radcliffe, IA; siblings Dee (Al) Akers of Olathe, KS, Terri (Jack) Runge of Buckeye, IA, Suzi (John) Lawrenz of Buckeye, IA. ; as well as many of his lifelong friends. He was preceded in death by his father, Leo Raske; son-in-law Brion Pellegrino; aunt, Sherrill (Burdette) Bell; uncles, Bernie Nilles, Marlyn Raske and Lyle (Eva) Raske; maternal grandparents Howard and Velda Mallow and paternal grandparents Herman and Anna Raske. “Slow down, you don’t always have to be going so fast.” ~ Michael J. To send flowers or a remembrance gift to the family of Michael "Rascal" Raske, please visit our Tribute Store. Memorials may be directed the family. "Email Address" would like to share the life celebration of Michael "Rascal" Raske. Click on the "link" to go to share a favorite memory or leave a condolence message for the family.